BT believes that it is "highly likely" that it will have to write off its 2.6 per cent stake in OnLive, as the streaming gaming company restructures. The telecoms giant told TechRadar that it was keeping a "close eye" on the situation, but that it could not comment on goings on at OnLive. Another investor, HTC, has written off its $40 million investment in the company, releasing a statement to the Taiwan Stock Exchange. BT insists that a 2.6 per cent stake in the company, acquired in May 2010, did not represent a significant investment. Speaking to TechRadar, a BT spokesperson said: "We cannot comment on speculation about the future of OnLive, but we are keeping a close eye on developments. "Questions should be directed to the company in question. BT customers who are customers of OnLive will continue to be able to access the service. "In any event, the 2.6 per cent shareholding in OnLive does not represent a significant investment for BT as a whole. "We consider it highly likely that we'll have to write off our investment." 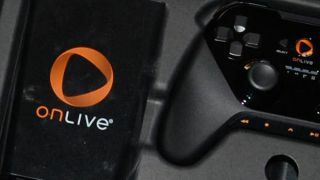 OnLive's future has been a major topic for debate over the weekend, with the last official word suggesting that the company assets have been acquired. HTC's filing to the Taiwan stock exchange suggested that OnLive's "lack of operating cash and an inability to raise new capital," has led to the restructuring.